Rush are continuing to expand across the UK and maximise the opportunity for growth and development especially within their franchise division. Rush has a strong culture with great attention being about its people, customer service and high hairdressing standards. 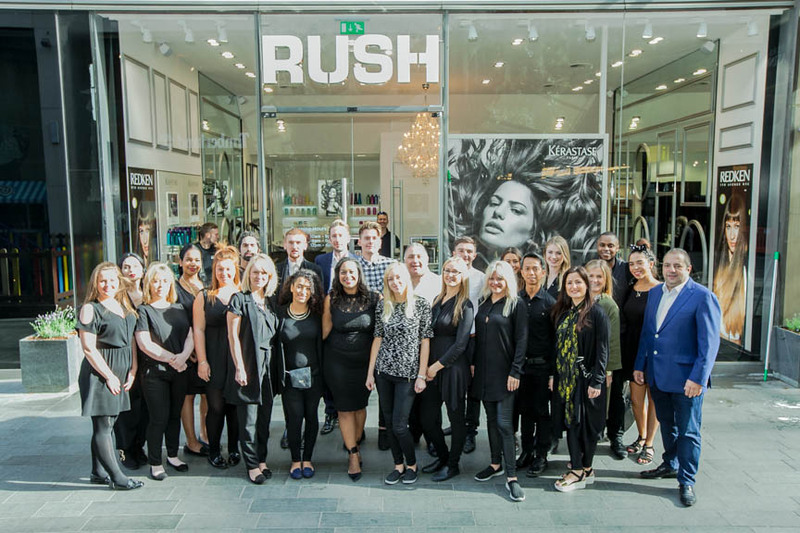 Rush’s Chairman and co-founder Andy Phouli credits the continued and successful expansion of Rush down to finding the very best locations for each salon and comments “Rush has always been a strong British High Street brand and we are delighted to be opening in, what I consider to be the best shopping centre in the UK, if not Europe”. “People buy into the franchise model so the support that is given has to be consistent – it doesn’t end once they’ve opened the salon, it’s a partnership – that’s why having strong systems and good communication is so important”. The Stratford City development project was opened in September 2011, adjacent to the Olympic Park used for the London 2012 Olympic Games and is close to 2 main stations. The development’s main aim was to significantly contribute to the local economy and the new Rush salon has employed 14 stylists, from the local area.